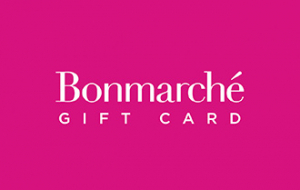 Bonmarché is the UK's largest womenswear value retailer. Bonmarché prides themselves’ on offering quality clothing with appropriate styling, great value and in a wide range of sizes, along with outstanding customer service. On the payment page within checkout, enter your gift voucher number and pin number. The value of this e-gift voucher will be deducted from your order. Any remaining balance on the order can be paid for via Credit/Debit Card or Paypal. Any remaining balance on your e-gift voucher can be used at a later date. Either print of this email or show this email on your mobile phone / tablet / device at the tills when paying. The value of this e-gift voucher will be deducted from your transaction. Any remaining balance on your transaction can be paid for via Credit/Debit Card or Cash.